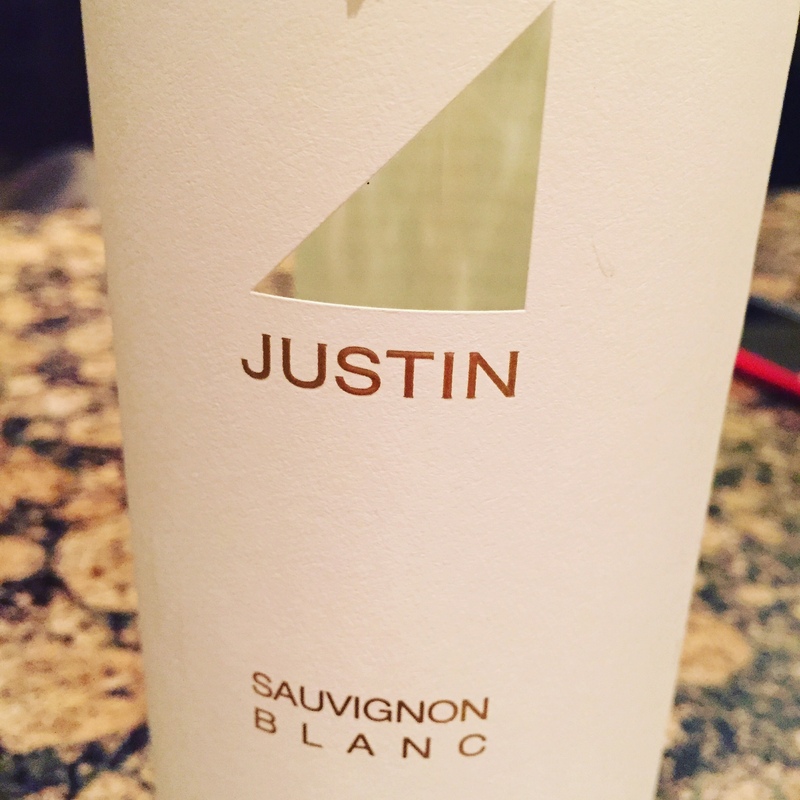 I’m a big fan of Justin’s Isosceles as well as their other cabernets, and so as I was strolling through the wine section at Costco over the weekend, this bottle caught my attention. The label really helps showcase the beautiful golden yellow color of the wine. But the next thing I noticed is the price: $10.99 This was just what I was looking for. Heading over to some friends for a barbeque, we’re having chicken and vegetable kebabs. So while the final preparations were being made to the food I was treated to some homemade salsa. The host was a bit upset that she didn’t have lemon to put in the salsa, the final ingredient. That’s where this wine really knocked it out of the park for me. With loads of lemon and grapefruit, it paired beautifully with the juicy, and lemon-less salsa. As the wine warmed up a chamomile like aroma revealed itself, and later on the palate some nice green apple notes. My only regret with this wine is that I didn’t come across it at the beginning of summer! What do the L.A. Rams, Walt Disney and Silverado Vineyards have in common? ?